BASEL I. 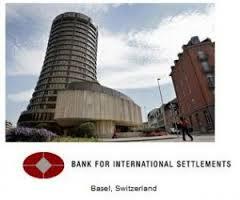 In 1988 a faceless, un-elected group of bankers met in Basel, Switzerland at the Bank for International Settlements (“BIS”) – the “Central Banker’s bank” which even Swiss authorities may not enter – and in their “Basel I accords” agreed to a set of minimum capital requirements (8%) for banks. This was a number fine for some banks, but higher than what was in place for France and especially Japanese banks. To raise more capital to reach the 8% level, French and Japanese banks had to reduce loans, causing a recession in France and a depression in Japan, one from which Japan has never fully recovered. An OECD study estimates that the medium-term harmful impact of Basel III implementation on GDP growth is in the range of −0.05% to −0.15% per year – just what’s needed in a worldwide recession! To meet the capital requirements effective in 2015 banks are estimated to need to increase their lending spreads on average by about .15%. The capital requirements effective as of 2019 could increase bank lending spreads by about .5%. Rising interest rates could significantly hurt small bank capital positions because a 3% upward swing in interest rates could drop a bank’s capital by 30%, placing the bank in an undercapitalized position, forcing it dramatically to reduce loans. Again, the downhill snowball effect. The proposed Basel III regulatory capital requirements are an immense and unnecessary burden that will actually threaten the existence of banks with under $1billion in assets. These new regulations will further drive consolidation into a few bigger banks. Some on Wall Street, like mergers and acquisitions expert John Slater, predict that Basel III’s compliance costs will lead to a merger boom, and that in the next 3-5 years 20-30 percent of all banks will merge, further consolidating wealth in fewer and fewer hands. That is the object – world bank/economic and hence political control by a handful of un-elected, unaccountable, international bankers beholden to no one, many of whom have ethics only Machiavelli could admire and worldviews that most people on earth would consider abhorrent. Our Monetary Reform Act, written in 1996 by Patrick S.J. 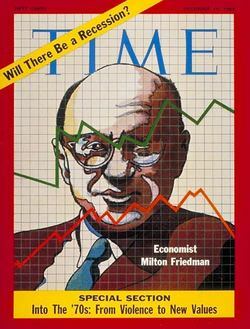 Carmack, J.D., and supported by Dr. Milton Friedman is largely based on the monetary reform plan that came out of the University of Chicago during the Great Depression in 1933, with added safeguards. Recently two researchers working for the IMF (perhaps not for long now!) 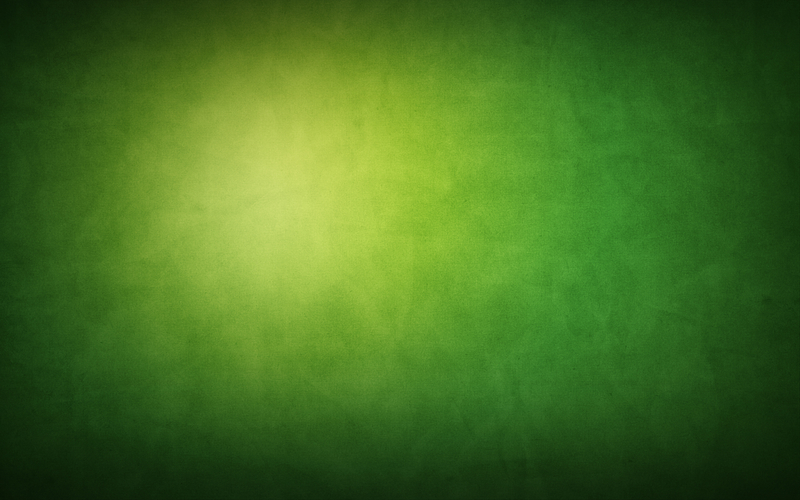 discovered the Plan, dusted it off and have noted five major – and real – benefits of the plan. While there is slim to no chance the IMF will promote the plan despite it’s obvious advantages to the public, still it is very interesting that it’s own researchers discovered, compliment and hoped to advance it. The IMF authors noted that all five benefits of the Plan were supported by their research. That is true.Caveat: however, absent safeguards the Chicago Plan per se would dangerously increase Leviathan’s (the State) control over the economy (while reducing direct private bank control – a good thing in itself), and it does not abolish fiat money which would be even more subject to political control under the Chicago Plan. As noted in the Monetary Reform Act and by Dr. Friedman, remedies to those two deficiencies would be that either monetary growth must be regulated by a Constitutional Amendment establishing either a zero (i.e., stable supply – no change) or a low fixed rate of annual growth (such as 3%) or by legislation, or, fiat money must be abolished and replaced with a commodity-based money such as gold (and/or silver or whatever a real free market develops as money). Unfortunately, legislation is subject to political manipulation (such as the how CPI is currently manipulated to indicate inflation is under 2% when it is closer to 10%) and relatively easy change, so this is not the ideal, but is of course much more easily passed. Such a Constitutional Amendment would far less subject to manipulation, as would be a commodity/gold-backed money (but even those can be manipulated in various ways) – they would be preferable to legislation. 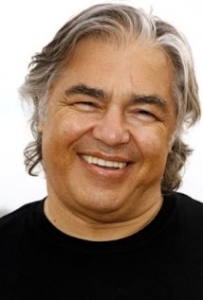 If those safeguarding elements were added, we believe this would be a huge improvement over the current system; it would in fact have the 5 advantages noted by the IMF researchers, and if bankers’ back it they would be either marvelously philanthropically motivated or will have given up on their scheme’s for world economic control. Neither is very likely, so beware of any push to implement the Chicago Plan without those or similar safeguards. 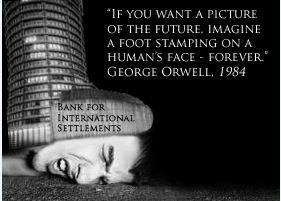 The combination of international bank control of the world economy via the BIS/IMF/World bank and State control is, as we all know, gradually heading for international totalitarianism. Any increase in power to either element is fraught with danger and must be very carefully examined. The Money Masters explains the history behind the current world depression and the bankers’ goal of world economic control by a very small coterie of private bankers, above all governments. 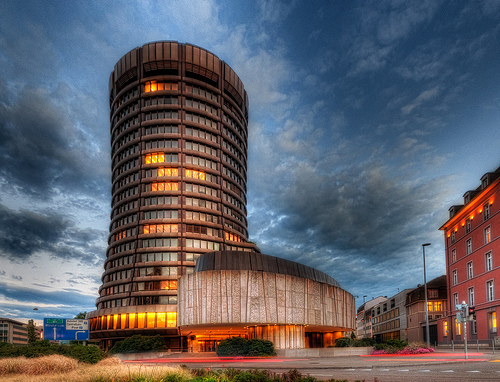 The Central bankers’ Bank for International Settlements (BIS) in 1988 in the “Basel I” regulations imposed an 8% capital reserve standard on member central banks. This almost immediately threw Japan into a 15 year economic depression. In 2004 Basel II imposed “mark to the market” capital valuation standards that required international banks to revalue their reserves according to changing market valuations (such as falling home or stock prices). The US implemented those standards in November, 2007. In December 2007 the US stock market collapsed and credit began drying up as banks withheld loans to comply with the 8% capital requirement as collateral valuations began to drop. The snowball effect of tightening credit, which reduces economic activity and values further, which resulted in further tightening of credit, etc., has produced a worldwide depression which is worsening. *The U.S did modify these rules somewhat a year after the devastation had taken place here, but the rules are still fully in place in the rest of the world and the results are appalling. 1. Directs the Treasury Department to issue U.S. Notes (like Lincoln’s Greenbacks; can also be in electronic deposit format) to pay off the National debt. 2. Increases the reserve ratio private banks are required to maintain from 10% to 100%, thereby terminating their ability to create money, while simultaneously absorbing the funds created to retire the national debt. These two relatively simple steps, which Congress has the power to enact, would extinguish the national debt, without inflation or deflation, and end the unjust practice of private banks creating money as loans (i.e., fractional reserve banking). Paying off the national debt would wipe out the $400+ billion annual interest payments and thereby balance the budget. This Act would stabilize the economy and end the boom-bust economic cycles caused by fractional reserve banking. For the full text of the Act click here to read the MONETARY REFORM ACT. 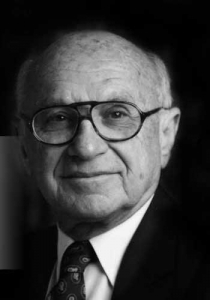 The monetarist school, of which Dr. Milton Friedman was the acknowledged head, has been rightly criticized by the Austrian school of economics for failing to recognize and deal with the fact that no fiat money system has ever lasted long before the government instituting it succumbed to the temptation to inflate the money supply as an indirect tax on the people, proportionately decreasing the value of their savings and wages, and transferring their wealth into the hands of the government. This is certainly a valid critique. The so-called “Great Recession” beginning in 2007, TARP, QE1, QE2 etc. and the staggering increase in the national debt has proven the validity of that critique – the Austrian school was right. 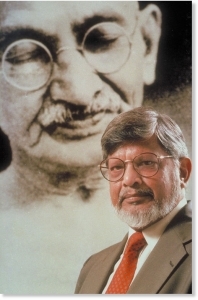 However, given the near-impossibility of passing such a Constitutional Amendment, it can fairly be argued that Dr. Friedman really had no practical means (only the theoretical one, above) to offer to restraint the government from debasing the currency and inflating away the wealth of the people. That being so, we part company with Dr. Friedman’s conclusion that “It is neither feasible nor desirable to restore a gold -or-silver coin standard.” Again, to be fair to him, Dr. Friedman later softened his stance against gold and stated that it would be preferable to what we have, a fractional reserve banking system. To that shift in thought, we say, Amen. The Money Masters website will be updating information and the Monetary Reform Act to explain the Austrian school’s solution to the current economic crisis in the light of events the last 5 years. One thing both schools of economic thought agree upon, as does Dr. Ron Paul: End the Fed! 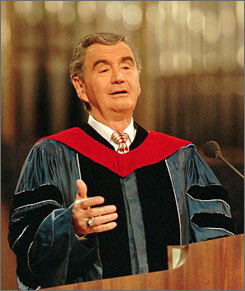 “Banking was conceived in iniquity and was born in sin. The bankers own the earth. Take it away from them, but leave them the power to create money, and with the flick of the pen they will create enough deposits to buy it back again. However, take it away from them, and all the great fortunes like mine will disappear and they ought to disappear, for this would be a happier and better world to live in. 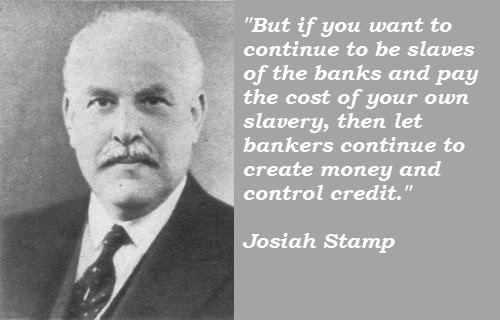 But, if you wish to remain the slaves of bankers and pay the cost of your own slavery, let them continue to create money.” — Sir Josiah Stamp, Director of the Bank of England (appointed 1928). Reputed to be the 2nd wealthiest man in England at that time. Support the Monetary Reform Act – write your Congressman today!